First Listen: Arturo O'Farrill & The Afro Latin Orchestra, 'The Offense Of The Drum' O'Farrill's new album transforms big-band Latin jazz into something familiar, but with a new look. Its music moves forward in a subtle and graceful way that's likely to have a lasting impact. 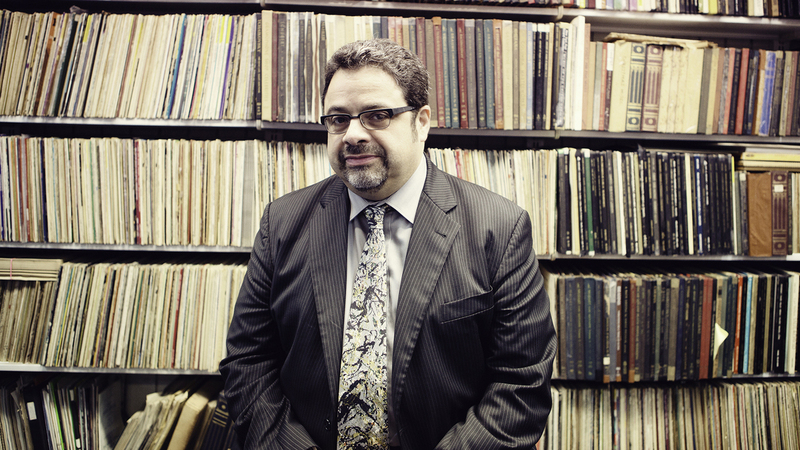 Arturo O'Farrill and The Afro Latin Orchestra's new album, The Offense of the Drum, comes out May 6. Arturo O'Farrill has had to fill big shoes: His father Chico O'Farrill was one of the architects of Latin jazz in the late 1940s, and he maintained a presence in the music until his death in 2001. The younger O'Farrill took on the task of making sure that the canon was a living, breathing thing and not a museum piece. He created the Afro Latin Jazz Orchestra from the remnants of his father's longtime big band, and has devoted his talents as a bandleader and composer to innovation. On The Offense of the Drum, O'Farrill nails that lofty goal. The sounds of a big band are here, the sounds of various Afro-Caribbean rhythms are here, and the sounds of some of New York's best musicians in any genre are here. But what's guiding the music is a vision that incorporates sounds from the streets today (reggaeton) with a spoken-word performance that's manifesto-like in its call to recognize culture as something that changes and grows every day. The Offense of the Drum transforms big-band Latin jazz into something familiar, but with a new look. You'll understand why when you hear the album. Listen to The Offense of the Drum, give it some time, and see if you don't notice that the world has changed a bit after you connect with the music the way O'Farrill intended.